Max Holloway may be walking into the Octagon one final time as the UFC featherweight champion at UFC 231, whether he wins or loses against Brian Ortega. When asked about what’s next for him, Holloway was fairly nonchalant “At the end of the day, I’ll show up,” Holloway said. We’ll see what happens when I show up and we meet in the Octagon. I can’t wait to see it. 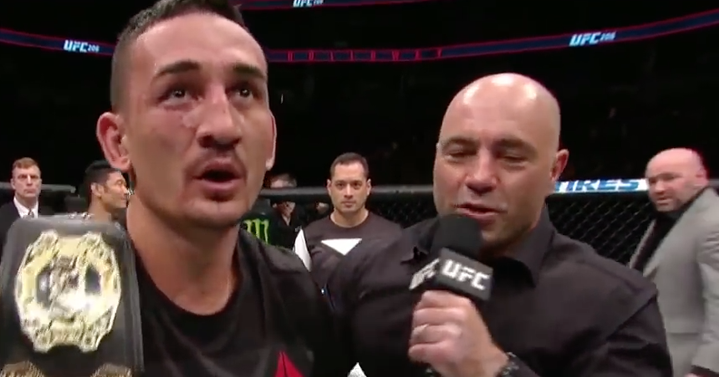 “We talked a little bit about it,” Holloway said of moving up to lightweight. “Not too much, not too crazy, you know? At the end of the day, I’m a champion. I’m a champion. I wanted to be a defending champion, now I want to be a pound-for-pound champion.